Avatar Art offers a stunning panorama of the most popular figures in India’s array of avatars, gods, sages and demons. 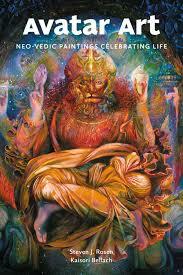 Explore a fascinating Vedic world portrayed by contemporary artists. Is the hunt for sustainable contentment just confusion – a kaleidoscope of diverse illusion? 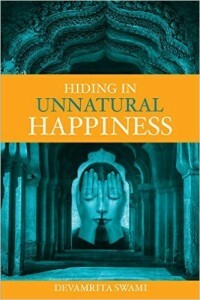 Drawing upon the ancient yoga science of the self, Hiding in Unnatural Happiness probes our contemporary approach to the fulfillment and progress, and recommends another road, less traveled but timeless. 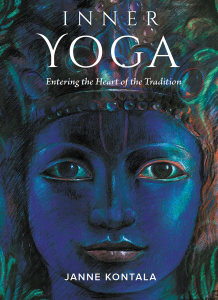 Many yoga philosophy books are inaccessible to readers;Inner Yoga is hands-on, accessible, and the kind of book people interested in yoga are likely to read it. 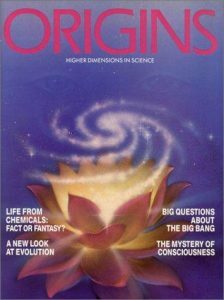 In this magazine the authors present a nontechnical review of current scientific theories of the origin of the universe, the origin of living organisms, and the nature of the conscious self. The basic finding is that the reductionistic worldview of modern science is by no means solidly established; the authors therefore outline an alternative view in which the world is understood to be only partially quantifiable and in which both purpose and spiritual qualities are granted existence. 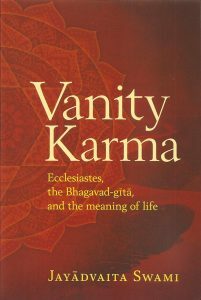 Vanity Karma brings you on a journey through the full text of Ecclesiastes, a journey illuminated by traditional biblical scholarship, insights from the Bhagavad-Gita, a dash of autobiography, and a steady spiritual focus. 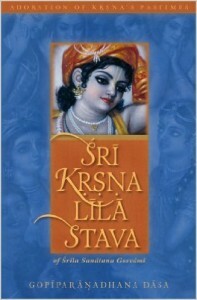 Among the priceless books contributed by Srila Sanatana Goswami to the literary heritage of the Gaudiya Vaishnavas, his Sri Krsna-lila-stava is the shortest and simplest. An offering of praise in 432 verses, it gives a personal meditation on Krishna’s Vrindavana pastimes as told by Sukadeva in Srimad-Bhagavatam. 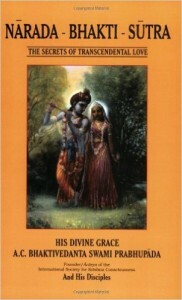 This is an authentic spiritual work that has inspired Gaudiya Vaishnavas for centuries. 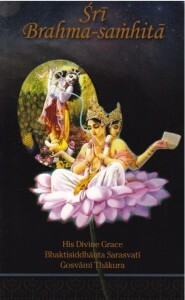 Narada Bhakti Sutra is a commentary on the ancient aphorisms about bhakti yoga by the renowned Vedic sage Narada. In this book, the author takes us on a journey into the past, weaving through the rich traditions and ancient culture of India. 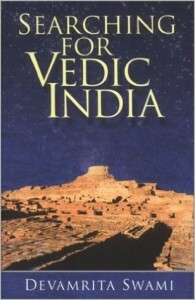 He reveals the glory of Vedic India that is locked in her literature for the modern reader to appreciate deeply. Sri Brahma Saṁhita is a Sanskrit poem, composed of verses of prayer spoken by Brahma glorifying the supreme Lord Kṛṣṇa or Govinda at the beginning of creation. It is revered within Gauḍiya Vaiṣṇavism, whose founder, Caitanya Mahāprabhu (1486–1534), re-discovered a part of the work, the 62 verses of Chapter 5, at the Adikeshav Temple in Thiruvattar, Tamil Nadu, South India in the 16th Century which had previously been lost for a few centuries. 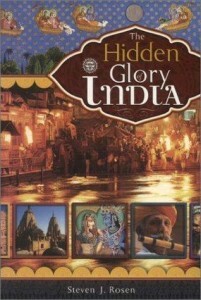 The Hidden Glory of India is the premier reference book on Eastern spirituality. Learn about: The ancient texts of India, The power of mantras, Ayurveda: Holistic healing, the mysteries of time and space, Karma and reincarnation, and much more. 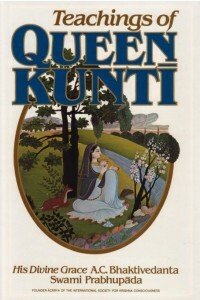 Queen Kunti’s teachings are the simple and illuminating outpourings of the soul of a great and saintly woman, revealing the deepest philosophical and theological penetrations of the intellect. In February of 1969, Srila Prabhupada gave a series of lectures in Los Angeles on the Bhagavad-gita, which deals with the yoga system. 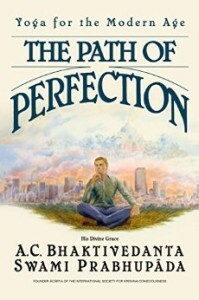 The Path of Perfection is a collection of these historic talks, wherein Srila Prabhupada deeply explores the philosophy of yoga as explained in the Sixth and Eighth Chapters of the Gita, showing clearly how these timeless teachings apply today.